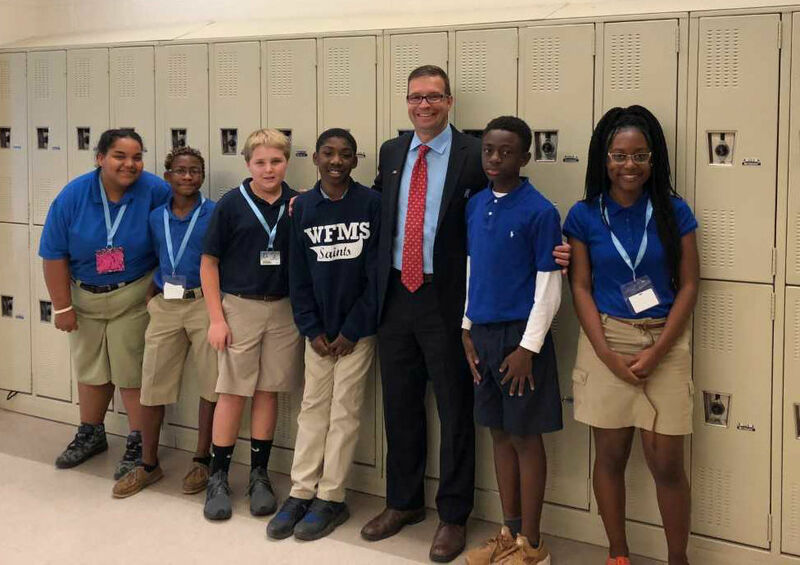 Superintendent Hollis Milton gathers with West Feliciana Middle School students. He had an opportunity to teach a group of middle school students during the Read 2 Lead Class period. 'This was a great group of kids who were very attentive, inquisitive, and pure joy to teach,’ he said. From left are Olivia Dees, Damian Singleton, Kolton Braddock, J'Kerrian McKnight, Milton, Elijah Foreman and McKayla Hardy.